The app CuraSwing turns music into movement. 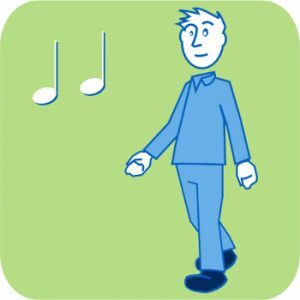 The arm swing during walking is translated into a stimulating music.This allows people with Parkinson’s to learn again to swing the affected arm stronger. The App CuraSwing was realized in cooperation with the Parkinson Center Beelitz-Heilstätten and Nagual Sounds GmbH. It is available in the App Store from Apple. This music guided home training program was developed by rehamusik.de for the Parkinsonzentrum Beelitz-Heilstaetten, Germany. 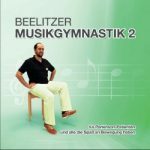 Here for the first time innovative tailor-made functional music was created for physiotherapeutic exercises. 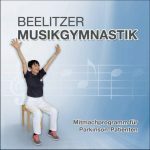 The home training program consists of an audio cd and a illustrated broschure (both in german language) and is available at the Parkinsonzentrum Beelitz-Heilstätten. Our music therapeutic audio programs have been produced on the basis the most recent scientific knowledge. 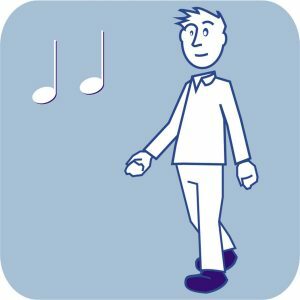 All tracks are based on a steady beat and have been optimized for therapeutic walking for clearly defined step fequencies. Our music can helpt to enhance the walking pattern instantanously as well as long-lastingly. 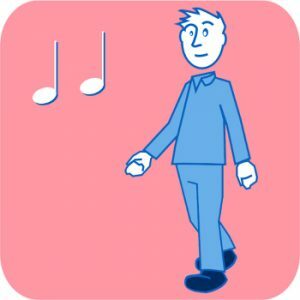 Music tracks for gait training are now available as GERMAN FOLK. Music productions for gait training in ELECTRO-POP and ROCK are in preparation and awaiting their realisation. 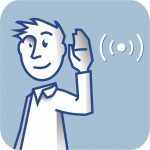 This audio program was developed by rehamusik.de in form of a swallow reminder training in cooperation with Dr. Grit Mallien. It serves as an important therapeutic aid for people with swallowing disorders (dysphagia), e.g. in parkinson’s disease.